Earn up to 424 reward points. 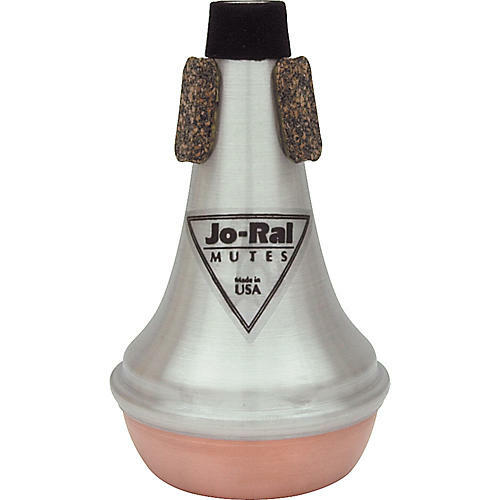 The Jo-Ral 5C is a straight aluminum and copper mute for your piccolo trumpet. The acoustical design of the Jo-Ral mutes creates the most exciting tonal quality, resulting in near-perfect intonation. They are made of spun aluminum, and have been tested to perform evenly in all registers. This mute's copper bottom produces a warm, mellow, dark and rich sound.